Keeping track of all the tasks, statistics and blogging tips and tricks you learn to run a successful blog can be overwhelming. Grab my free blog planner to beat overwhelm, get organized and stay focused on achieving your blogging goals. When I started blogging, I never realized just how much there was to know and keep track of. Almost six years later, I’m still learning new things I should be doing every day. Honestly, some days can be overwhelming and it is tough to keep up. So I created a free blog planner to help beat overwhelm and get organized so we can get focused and crush our blogging goals. I’m so excited to bring you my ultimate free blog planner today with customizable worksheets so you can build a successful blog and achieve your blogging goals for 2019. As you may or may not know, I’m a total planner addict. I believe that staying organized can help me better manage my time to achieve the dream life I’ve wanted. I rely on my planner and bullet journals 100% to keep track of every aspect of my life. I use planners to manage my family life, my health and of course, my blog. I also rely on my blog planner to organize my blog ideas and track important information like statistics, passwords and income vs. expenses. Whether you use my free blog planner online on Google Drive, use it in Excel or print for a binder, I hope you’ll find it a useful tool to ensure your blogging time is more focused and productive and your ideas well organized so you can access them when and where you need them. 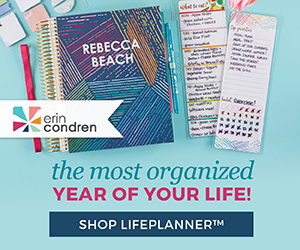 So let me tell you about the planner I created and the secrets of how to get the most out of it. After NaBloPoMo a couple years ago, I learned 7 valuable lessons about myself, my productivity and my blog. I needed a planner that could offer these 3 benefits and that’s when I decided to create it myself. No matter where and when a great blog post idea or idea to improve and grow my blog struck, my paper blog bullet journal was rarely nearby. I needed my blog planner at my fingertips to ensure my idea wouldn’t get lost in the chaos of my day. My blog is my passion. Ideas are constantly whirling around my head, so I needed an easily accessible place to get them all down. So I began using the Google Drive app on my smartphone whenever I got an idea I didn’t want to forget. When do I get most of my ideas? While I could carry my paper blog bullet journal to most of these places, I don’t. My purse is heavy enough already. I could jot it down on a zillion scraps of paper or post it notes but I risk losing it. The Google Drive app captures the idea efficiently and effectively since my smartphone is always nearby. When do you get most of your blog ideas? Make sure to capture them as they happen so you don’t forget it and keep ideas in one central location so you don’t lose it. I’m a functional planner. I love pretty planners as you can clearly see here and here and here but I also needed my blog planner to corral my ideas and tasks from my racing mind. add blog post ideas to my editorial calendar which eliminates the need for the WP Editorial Calendar plugin (keeping plugins to a minimum helps maximize your site’s load speed). While my online planner tracks my day-to-day blog operations, I still a separate blog bullet journal for jotting down Elite Blog Academy* notes, my strategic planning and more long-term ideas and goals that I need to keep from year to year. Are you a functional planner or does a decorative planner inspire you more? Have you found perfect & complete “planner peace” for your blog? You know that state of bliss where you have everything you need for your blog all in one place when and where you need it? With blogging, best practices, technology and social media are always changing. As bloggers, we’re constantly learning, growing and changing how we work towards our blogging goals and our blog planner needs to be able to change to fulfill our needs. I found printable blog planners limiting. The planners included sheets that were important to the planner’s creator. But my blog is different, I blog about a variety of topics and found I always needed something more…a blog checklist so I didn’t forget an important step before publishing a post, help remembering to cross-post book reviews, and a stats tracker to see my views and where my traffic is coming from. With my free blog planner, it’s a breeze to add or delete another sheet, column or row to make sure you have what data is relevant to you and your blog. I gained efficiency by having all my blog data in one place and customized just for me. My free blog planner started as two sheets but easily grew to 36 sheets in the last few years. Every year I find new ways to add to and customize my blog planner and then I share it with you! What do you need from your blog planner? What information do you need to track that you aren’t able to? What do you keep forgetting? Start a new sheet, get that great idea down and don’t lose your train of thought. Ready to see what this year’s free blog planner looks like? Well, here’s a peek inside! There are 37 customizable worksheets in my free blog planner. Type in your overall goals for the month and important dates/events at the top. Enter blog post ideas, chat, webinar or linkup party dates on the respective day to see an overview of your blog content & schedule for the month. Can’t write what you thought you would or had a new better idea? Just copy and paste your idea to a different day. A separate tab for each month, January – December 2018. This version of the editorial calendar allows you to keep track of post title, date, category and status for each post. Do you forget to check SEO, set a nofollow link, a featured image or fix the Facebook image before you publish? I do, so I included this checklist so I don’t forget. I also included boxes for sharing on different social media channgels and boxes to add your post to your blog post index or landing page so you can easily keep track of your blog posts by category. Evergreen blog posts are those posts that are not time specific and readers can search for anytime. Examples include book discussions, nonsponsored product reviews, recipes, home organization and blogging tips. I used to include an unscheduled draft in WordPress every time I came up with a blog post idea. The problem is if I didn’t write the post relatively soon, the unscheduled draft was pushed down further and further until it falls off the main posts page. Out of sight, out of mind. Instead, by jotting down the idea in my Evergreen Blog Post Ideas Tracker, I can access it anytime I am ready to write and I don’t lose the fabulous idea in the cemetery of forgotten drafts. What would a planner be without a to do list? Jot down those blog maintenance tasks, ideas to grow your blog and things you’ve been meaning to do. I sort mine by how long I think it will take me to complete so when I have a block of time to blog, I know just what tasks I can set out to accomplish. A checklist to remember important monthly maintenance like backing up your blog, cleaning up your sidebar and updating your stat trackers and income/expense reports. See your users, sessions, pageviews and top 3 traffic referrals at a glance with this Google Analytics Statistics Tracker. Taking some of the key elements from Google Analytics and putting it into a chart form will help you get a better understanding of how your readers find you and what they enjoyed reading during the month. Track your blog and comment subscribers and followers on various social media platforms. I’m a numbers gal, I like to see how my readership is impacted from the content, linkups and events I share. Track blog income and expenses in one place and get a general idea of your blogging net income/loss. You still should hold onto your paperwork to substantiate your income and expenses but this tracker gives you a simple overview of estimated net income or loss on your blog. I made this primarily to be printed. While much of my blogging information I am ok with being on Google Drive, I do not want my passwords on any sort of cloud. Still the tracker is here to print because it’s near impossible for me to remember all my passwords. Are you a linkup fanatic like I am? Linkups are great ways to get new readers to your blog and share your content with a new audience. Jot down the info regarding your favorite linkups including host URL, type of linkup (ex. recipes, books, general), the time the linkup goes live & duration and any restrictions or requirements to complete. Check a list of my favorite linkups and add a linkup you host to my link party directory. Do you forget what post you linked up where? Or when a post earned a Featured Blogger spot? Use this tracker to indicate which posts you’ve linked up with which parties and when Featured Blogger awards are earned. A simple notes page to keep track of ideas discussed during chats, webinars or classes. I added this to my planner during Pinning Perfect and figured you could use them too. Add as many as you want in the electronic versions so all your info is in one place. During one of our Small Victories Sunday Linkups, Krafty Owl shared Why You Need a Blog Post Index. I thought this was a useful tool especially as I’m going through old posts and making sure categories and tags are consistent and seeing which ones need updated photos and writing. So I added a blog post index to my personal blog planner and thought you’d find it useful too. I think this sheet is better for those using the planner electronically on Google Drive or Excel since it’s easy to copy and paste a URL into the spreadsheet. Whether you review products or books on your blog, this review template will help you deliver useful and consistent information to your readers in your review. Because I use Tailwind* to schedule my pins, I tend to forget what pins I’ve pinned and where I’ve pinned them to. I wanted a way to be able to easily tell what boards I pinned them to before I inundate Pinterest with the same image. So I developed this tracker so I can better determine where I’ve pinned a particular image to so I can figure out a looping schedule to know when to share it again. I’ve included lots of worksheets in this free blog planner to help you build a successful blog. By getting your ideas our of your head and into an organized format, you can free your mind to focus on getting things done and have your ideas and notes at your fingertips when you need them. Subscribe to my Newsletter and Get Your Free Ultimate Blog Planner Now! The best part is that this planner is it is free, one of many exclusive gifts for newsletter subscribers. Enter your email address below now and the links to all 3 versions of my 2019 free blog planner (Microsoft Excel, Google Drive link and PDF) and the password to unlock the Exclusive Subscriber Library of planners, printables and tips to achieve your dream life will be sent to you after you have confirmed your subscription. You must save copies of these files to your computer in order to customize the Google Doc and Excel versions for your blogging needs. This planner is for personal use only, please do not mass distribute or sell without permission. 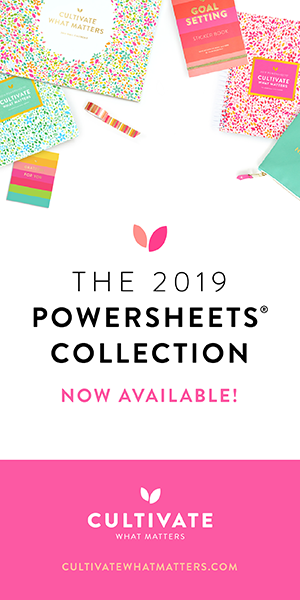 I will be updating this planner and making subscriber exclusive printables throughout the year so stay tuned, you don’t want to miss any of them! So what are you waiting for? Grab my free blog planner here and see how getting your blogging tasks organized will help you get more done and start building your successful and profitable blog today! What is important to you in a blog planner? What tools do you find most helpful? Hi Tanya, I never received the planner. I would love to use the document so I can see if it really helps. I signed up with my email address but got nothing! I would love to use the document so I can see if it really helps. Please let me know the email address you used to subscribe and I will check into it. We may be already half way through the year, but I’m really looking forward to using this. I’m a big planner fan too, but I’m not sure that #OneBookJuly is quite up to being a blog scheduler, idea capturer and tracker for all those metrics too. I’ve subscribed, and am following you on Pinterest. Looking forward to exploring more of your content. I searched and could not find where to sign up so that I can get the 2017 blog planner for google drive, so I am putting my address here. Please add me or tell me where the sign up is on your site. You should see a box in the post with a blue border where you can enter your email address and all the versions of the planner will be sent to you when you confirm your subscription. Hope that helps. If not, let me know and I will get it to you. Thank you so much for this free resource! Simple, but effective. That’s what I like! Staying organized as a blog is a challenge. This should help! This is such a great resource Tanya. I love that you’ve created it and are sharing it with your fellow bloggers. It’s going to be so helpful! Thanks so much Angela, I love to create planners and printables, I figure if it helps me, it will help others too! Thank you!!!! I have been searching for something like this for about 3 months!!! I’ve finally gotten the ball rolling on my blog, but I haven’t been able to find a really decent way to track! This will be my new best friend!!! I can’t wait to get started!!! Thanks again!!! Oh I’m so glad you found this helpful Tammy! I’m glad I’m not the only one who thinks of planners as friends. Enjoy and let me know what else you would like to see added to it. Thanks for this planner! I used your 2016 version and loved it! I love having it printed AND on Google so I can write while at my desk or electronic when I’m away from my desk but have a little free time. I even have an IFTTT setup to log the Blog Index for me. One question I have is on the Google Analytics how do you get the avg numbers? Did you just take the total and divide by 12? Yes, if you have a full 2016 years of Google Analytics data, you take the total #s divided by 12 to get the average monthly data so you can compare it to your 2017 monthly data. I’m so glad you liked the planner Jennifer and that you have it both printed and on Google Drive. That’s pretty cool you have an IFFFT setup to create your index. I have not used IFFFT but I hear it’s very useful! Thanks for creating these documents. I’m starting Year 2 of blogging and my goal is to have organization (and purpose) this coming year instead of just feeling like I’m surviving! Visiting from Saturday Sharefest. Wonderful Victoria! My 2017 word is FOCUS again this year so that I focus on my goals rather than doing the haphazard blogging I’ve done till pay year. Elite Blog Academy is definitely helping me clean up my blog but I still have a long way to go to. I’m with you, I want to thrive not just survive! It’s so rewarding to see positive results from focused effort! Best of luck! Looks like a wonderful way to stay on top of your game with a neat way to stay more organized. I’ll be honest with you while this looks great I know I would fall through the cracks and won’t be able to keep up. So, I’ll just keep doing things the way I’ve been doing them. It just makes sense to me. It’s nice meeting you through Create with Joy! I agree there is a lot of information here. I included more and more sheets as I found a need in my own blogging for them. The beauty of the planner is you can use what you like, add what you want and delete anything you don’t need and of course, it’s free 🙂 I’m glad you already have a way to organize things that makes sense to you. I hope my planner helps others make sense out of their blogging needs too. Thanks for stopping by! 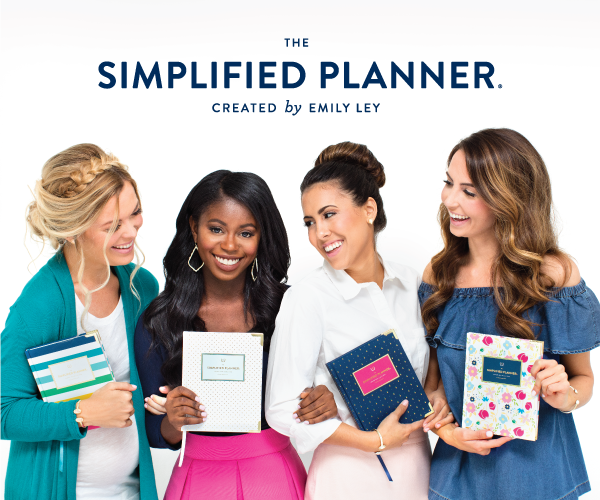 Thanks for sharing your free planner at Motivation Monday on Mom Home Guide — I’ll give it a try! Great Lauren, I do hope it helps you! Thank you! My goal for next year is to get so much more organized with my blogging, and this is definitely going to help me! You’re very welcome Helen! It makes me happy to help people achieve their blogging goals. This is terrific! I’ve been looking for something to get me on track for 2017 and this is just the ticket! This planner is AWESOME! Thank you so much for sharing this for FREE; I can’t wait to start using it! Stopping by from SITS Sharefest. Merry Christmas! This is a super awesome planner. I definitely need something like this to be more organized. Thank you so much for sharing, I can’t wait to get started with this! As a new blogger, I’m on the lookout for anything that can help me be more organised, especially going into 2017! This is an awesome blog planner. I am like you, I have to put everything on paper right away or it gets lost somehow. I’m a functional planner kind of gal. I love it to be pretty but if it doesn’t keep track of everything I need then I can’t use it. I love this post! I’m coming back to spend more time to look at these more closely. I’ve been printing off a blog planner every year since I started my blog. They are a lifesaver. I love that this one is in excel format so that I can use it on the computer. Makes things so much easier! I downloaded it and I cannot wait to put it into practice. I am waiting until the week after Christmas, though, just too much going on right now! I must download this. You have everything so organised! Thank you so much for creating and sharing this! I love to map things out and write things down, so this is great to keep me organized. this is incredible. you seriously have some great time lines / list / charts here that I have been looking to “figure” out how to create. Thank you so much for sharing your knowledge with all of us. I’m so glad Cecilia, i have been fine tuning and adding to it for the past couple of years. I’m glad to share it to help my fellow bloggers. Glad you found it helpful! THis is a great pack of resources. I needed a better way of tracking my analytics, so I subscribed for the download. Thanks! Wonderful, thank you Mandy, I hope you find it helpful!! This all looks so useful, but since I’m only skimming as I’m winding down for the night, I’m having a hard time figuring out how to save or print it. If you subscribe to my weekly or daily newsletter, the links to download are included in the welcome email. What an awesome resource! I am making 2017 my year to be more organized as a blogger, these are wonderful for doing just that! This sounds awesome! What if we’re already on your list, how do we access this? I sent it in an email to you, I’m in the process of adding them to the bottom of the weekly/daily newsletters. Visiting from the “Pretty Pintastic Party” (which I just started attending…I’ve been getting the emails for ages and finally clicked…the power of e-mail marketing. haha). Just shared this post on my group board “Free Printables” (yes, I realize it was computer editing, but it was close). OMG THANK YOU FOR THIS!! This is EXCAKLY what I was looking for!